Submit credit card payment via our website. You will be asked to enter Candidate's name and your email address again. Covering the credit card processing fees is optional. If you do not wish to cover the transaction fees, simply uncheck the option. Write a check payable to “CYCS” and mail to P.O. Box 4192, Santa Clara, CA 95056. Write down candidate’s name, instrument, and level on check. Step 3: Print examination permit. A electronic copy will be sent to your email address at least two weeks before the date of examination. Print out a copy of the permit and verify all information is correct. You should notify CYCS for any mistakes on your name, instrument, level etc. As mistakes will likely to be carried over to your certificate. Assigned examination date and time cannot be changed once the permit is issued. If you have restrictions on your availability, please note that clearly on your registration form. Step 4: Take your test. Arrive 30 minutes prior to your assigned time. Bring examination permit, your identification with photo, examination book. Bring your own instrument. 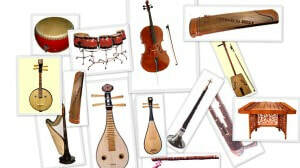 For guzheng or yangqin, if you need an instrument from CYCS, please ensure to call or email in advance to make arrangement. You are responsible to tune the instrument before the examination. Music stands (if needed) are provided during examination.